I'm so fast you can't see me, though everyone else can see straight through me. I don't stop until the day you die. What am I? 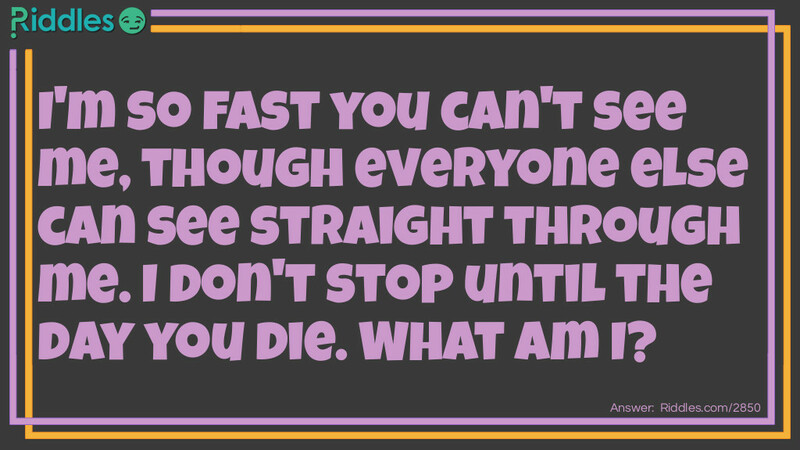 Riddle me this Riddle Meme with riddle and answer page link.